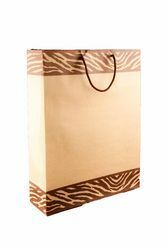 Paper bags are being used by a lot of companies nowadays to make a style statement. Minimal logo designs or eye-catching quotes are easy to read on a paper bag since it is not shiny. This helps brands spread their messages and helps in marketing. No wonder big brands like Nike, Titan, Mercedes have adopted an all paper strategy in their packaging department. Bizongo adheres to the Indian laws which command the use of a certain percentage of recycled paper. The flat bottom of the paper bag is called gusset and is helpful in increasing the holding capacity of any bag. Bizongo provides paper bags with varying gusset sizes. So you can choose the one which suits your application. Gusset can also be present on the sides. 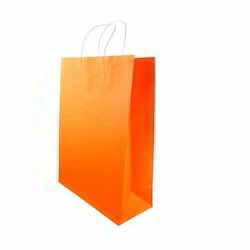 Now, buy paper bags online from Bizongo with 100% quality assurance. Bizongo is the only online marketplace for industrial packaging supplies across all packaging verticals. 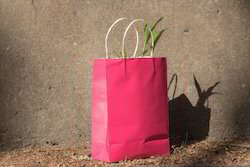 Usage: Paper bags are fit for all purpose like shopping, gift pack, and jewelry. You can use these bags to carry jewelry, cosmetics products, gifts, shoes, garments and other fancy items. Colours Wide range of colours available to choose from.